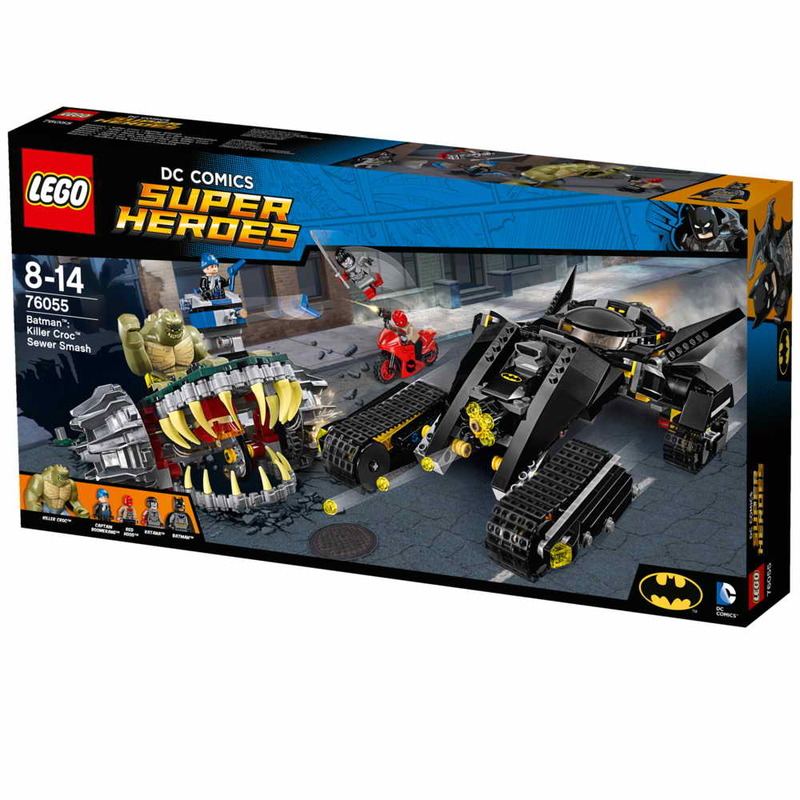 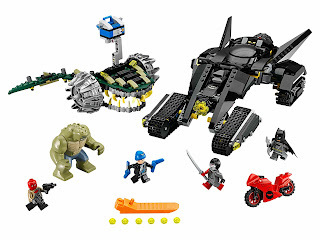 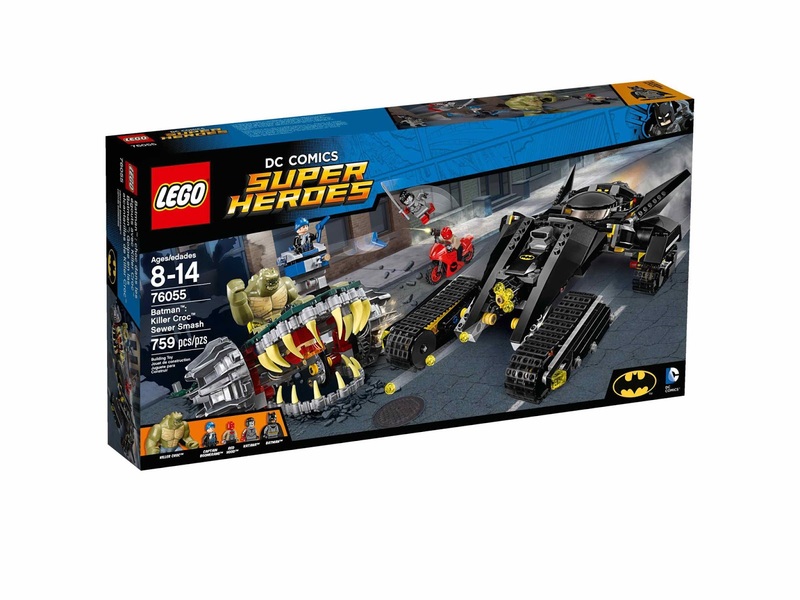 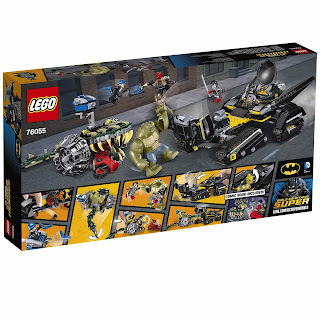 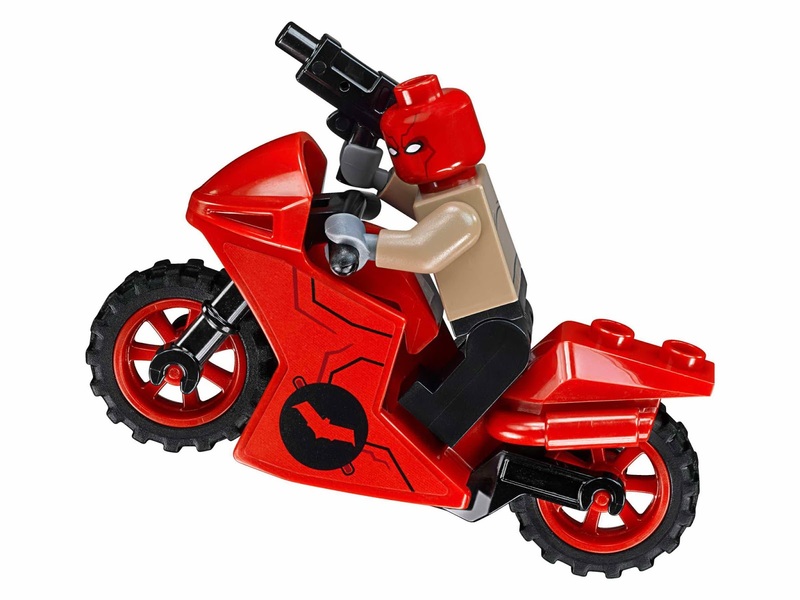 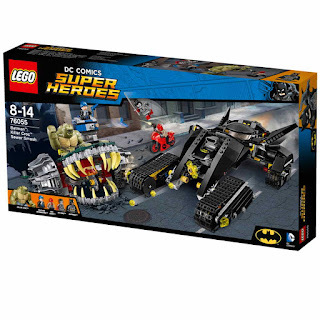 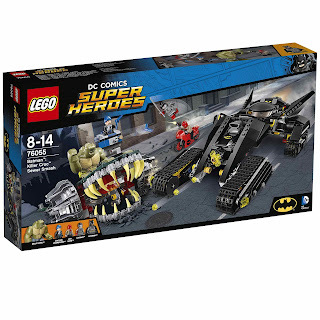 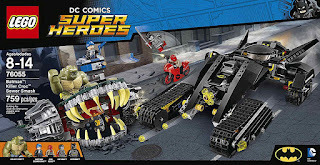 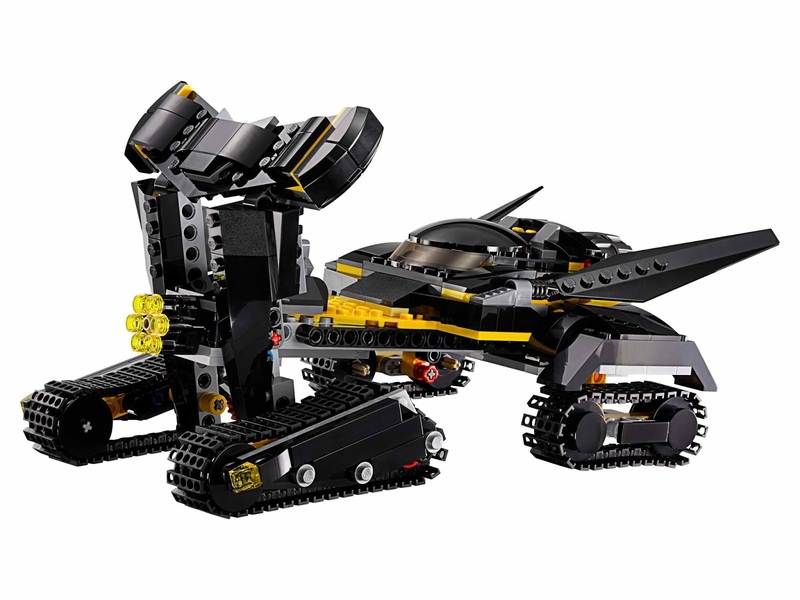 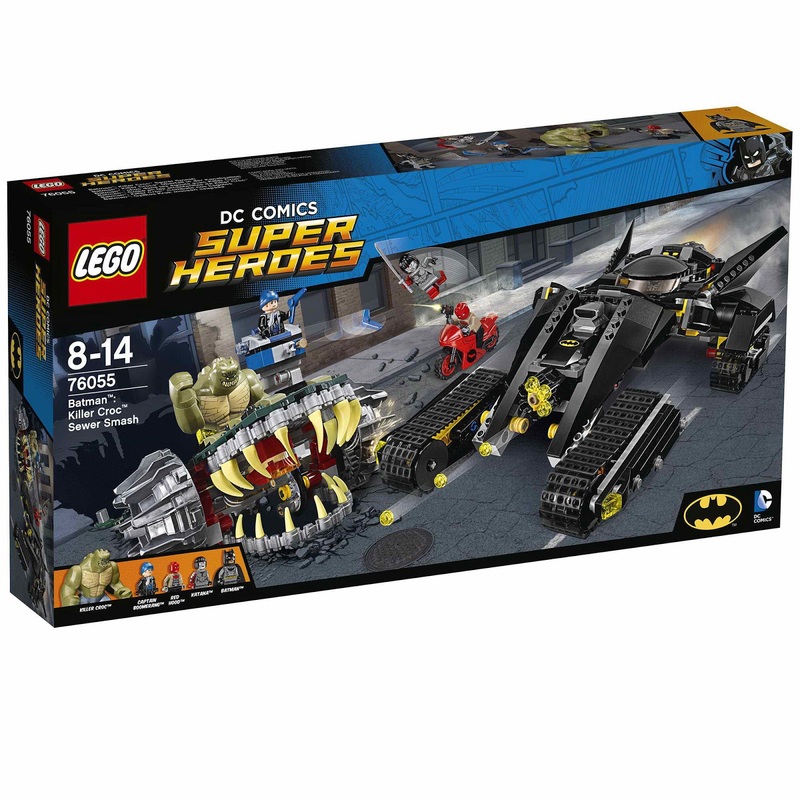 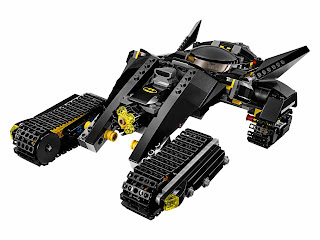 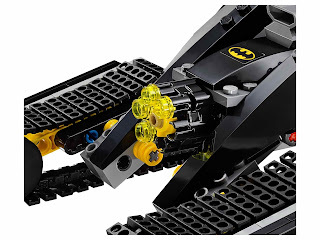 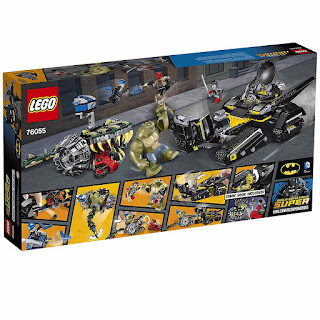 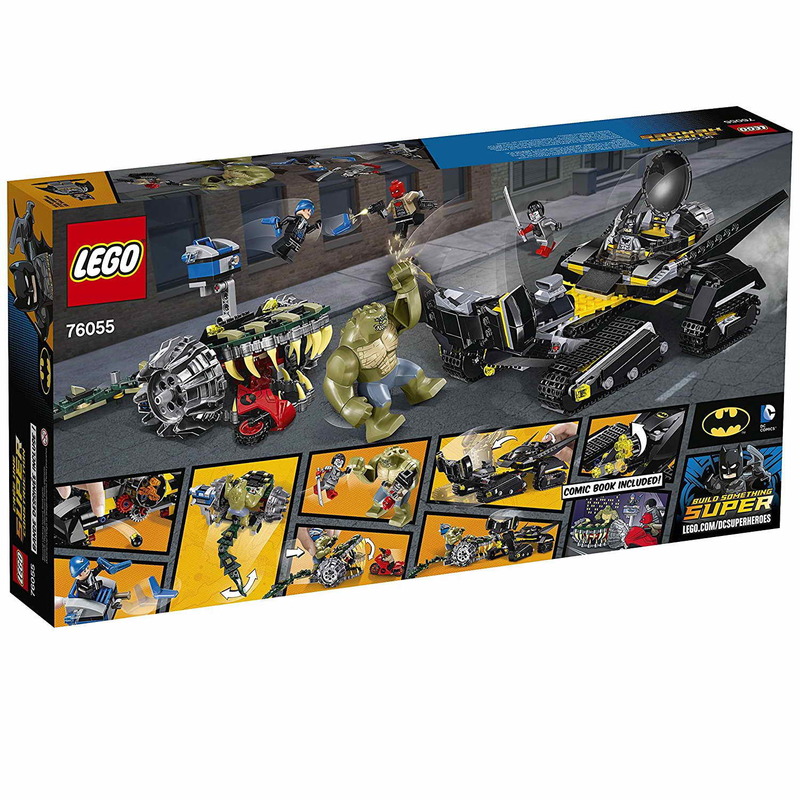 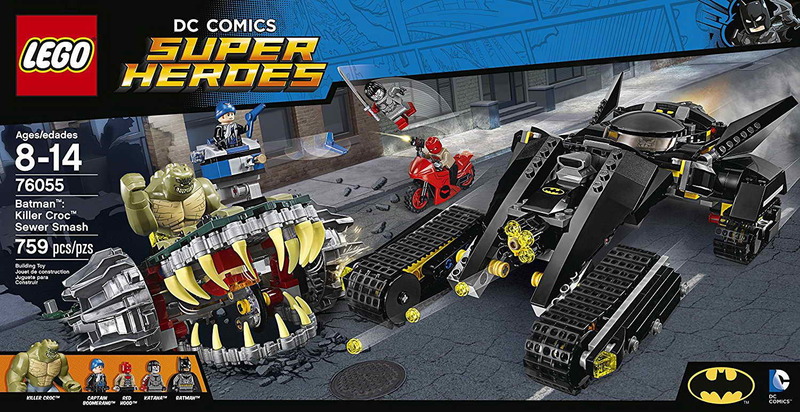 come with a batman's bat tank, a killer croc's battle chomper and a red hood's motorbike. the bat tank has a deployable ram weapon, an openable cockpit, 6 stud shooter and rollable track wheels. 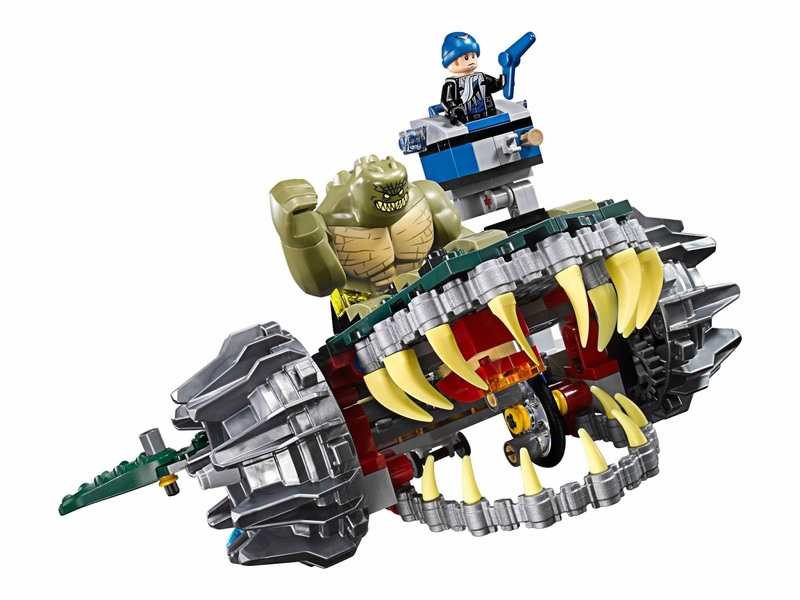 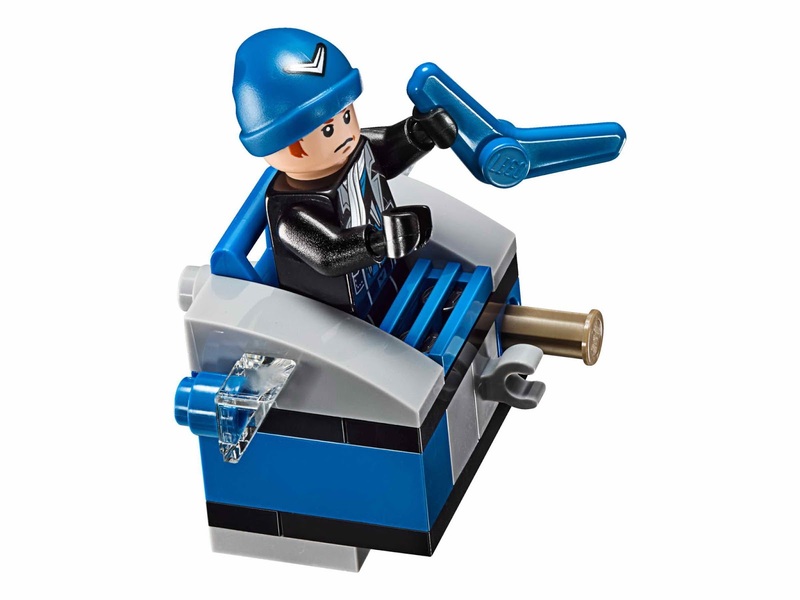 the chomper has movable jaws and tail, a captain boomerang's lookout tower and a boomerang shooter. 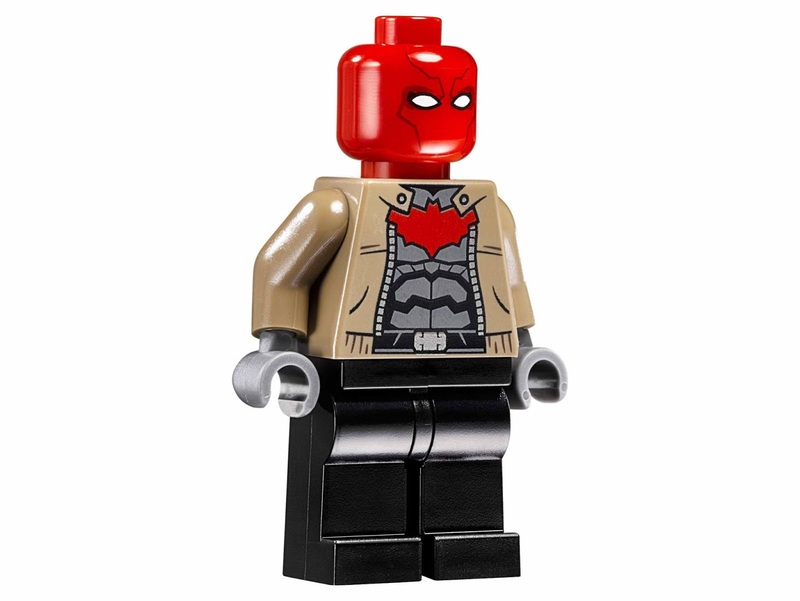 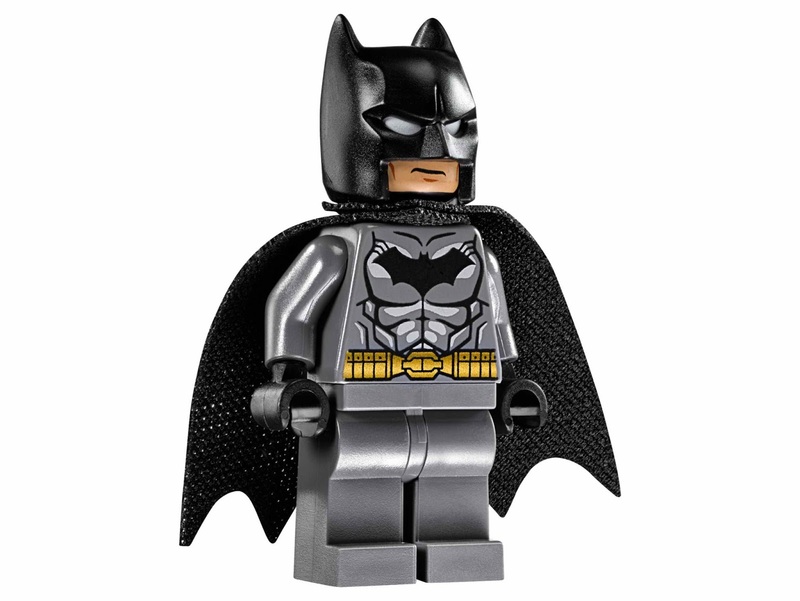 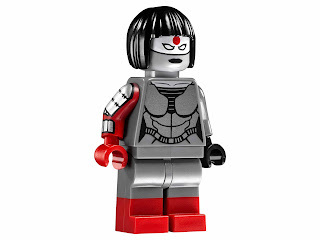 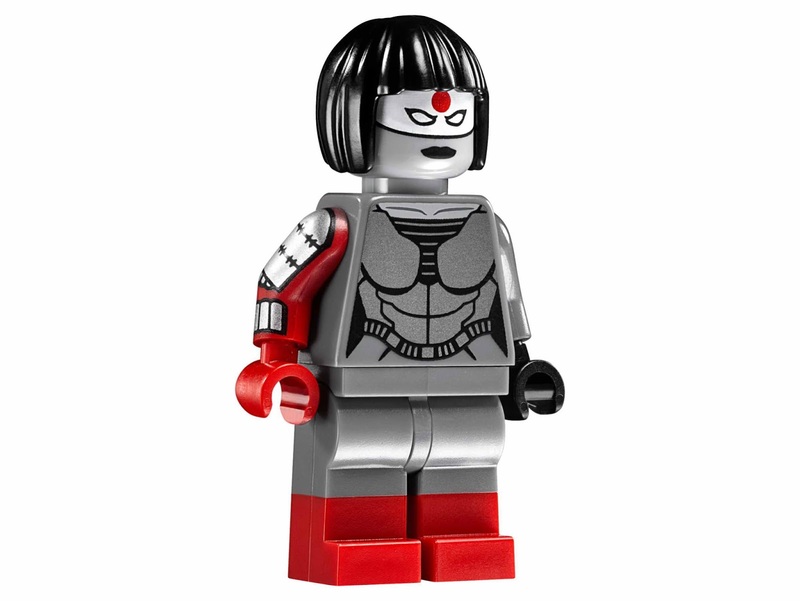 minifigs included a batman minifig, a red hood minifig, a captain boomerang minifig, a katana minifig and a killer croc big figure.